Europe must not stand still and the recently approved Leaders Agenda is a step in the right direction. But we must seize the current window of opportunity to re-energise the EU by tackling multiple issues at once, argue Herman Van Rompuy and Janis A. Emmanouilidis. Herman Van Rompuy is the president of the European Policy Centre (EPC), President Emeritus of the European Council and former prime minister of Belgium. Janis A. Emmanouilidis is the director of studies at the European Policy Centre (EPC). We are witnessing an increased momentum in the debate about the future of Europe. The ambitious Leaders’ Agenda approved by the European Council is certainly a step in the right direction to “cut the Gordian knot on the most sensitive issues” and re-invigorate trust in the European project. But in taking decisions chapter by chapter, we may lose sight of the bigger picture and fail to deliver the urgent responses that our citizens are asking for. Europe cannot afford stagnation. We cannot continue to be divided on how to further develop the euro area, how to handle the refugee crisis, or how to defend our countries and continent. We must seize the current window of opportunity and consider a new approach for re-energising the European Union (EU) – one that seeks to tackle multiple issues at once, allowing for possible transversal compromises to give way to a deal that can move us past red lines. By expanding the Leader’s Agenda beyond one specific area at a time, we can strike the right balance between the diverging interests and sensitivities of individual member states and identify wider agreements across policy areas that will enable the EU to better serve and protect its citizens. New crises will occur. We just do not know when or how strong they will hit us. While we have stalled on many fronts, achieving the much needed “win-win package deal” to make the EU storm-proof is, in fact, possible. Over the past five years, the New Pact for Europe (NPE) initiative has convened more than 120 national and transnational debates in 17 member states, seeking to understand the issues that spark the greatest concern and deepest divisions between and within EU countries. Exploring these differences of perception and experience has uncovered the potential elements of an ambitious but realistic package deal. The comprehensive bargain, detailed in the NPE’s new report, covers the economic and social, migration, and security dimensions. It balances differing political ideologies and competing priorities. It proposes pragmatic compromises that could lead to tangible progress within the framework of the current EU Treaties. This is not to say that differentiation among member states will not remain a key feature of European integration. At times, it is the only way forward – but multiple speeds should be the exception, unity the rule. In fact, the implementation of the deal presented in the report would result in more differentiated integration, with different groups of member states intensifying functional cooperation in different policy fields as foreseen in the Lisbon Treaty. However, it should avoid the creation of a closed institutionalised ‘core Europe’ involving only a small number of countries, which is neither realistic (who would belong to this avant-garde?) nor desirable. We will fail to find agreement between North and South on future euro area reforms and between West and East on the migration challenge if we cannot combine solidarity with responsibility and security in a way that works for all EU members. If we fail to protect Europeans, they will choose protectionism and nationalism. If we surrender our open economies, we will lose prosperity. To move forward, there is a need to balance responsibility and solidarity, security and solidarity, national sovereignty and integration as well as growth and cohesion, openness and protection. The window of opportunity is small. We must be ready before the campaign for the next European elections starts. If we cannot show tangible results on jobs, migration, social dumping, climate change, terrorism and corruption, populists will thrive. They have lost some battles, but they have not yet lost the war. The forces working for a more regressive, closed, and nationalistic Europe are still very vigorous. We can prevail, if we can agree on win-win solutions. By seeking compromises across ideological lines and across issues, we can reduce insecurities and inequalities, weakening the arguments that fuel authoritarian populists and reminding citizens of the benefits of an integrated Union. It is thus imperative to summon the political will and leadership that is needed to bolster Europe’s ‘protective arm’ ahead of forthcoming storms. We do not need to re-invent Europe, but we must re-energise it and make it future-proof. We must convince Europeans of the added value and the values of our Union. European cooperation is not an ideology; it is a necessity in an interdependent world in which individual countries cannot defend their interests and values alone. 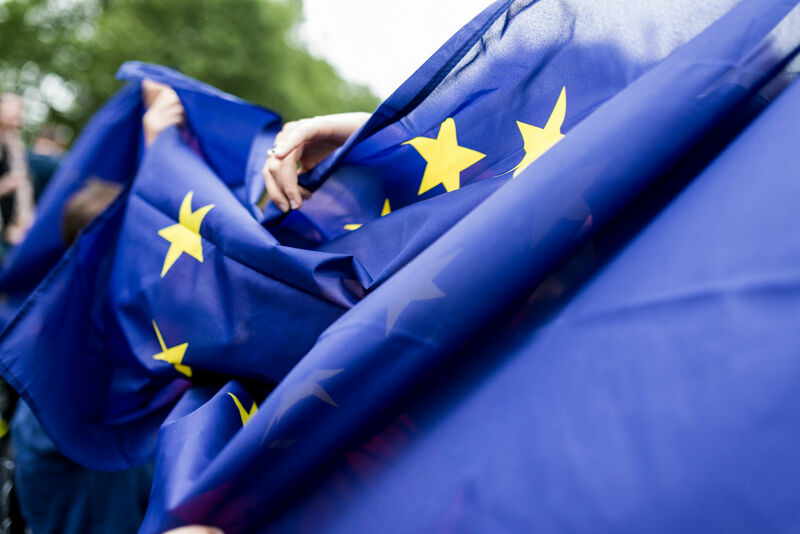 Citizens in the EU-27 have enhanced their support for membership after the Brexit referendum. They know where their future lies. They are less afraid than many politicians. Now is the time to find a compromise on the future of Europe. Now is the time for leaders to lead: to understand the need for action, to identify opportunities, to pre-empt potential risks. Now is the time to be courageous and take concrete next steps, not in 2020 but as soon as possible. Otherwise, we will lose our credibility. It is up to all of us to respond to this call – and for future generations of Europeans to judge us.